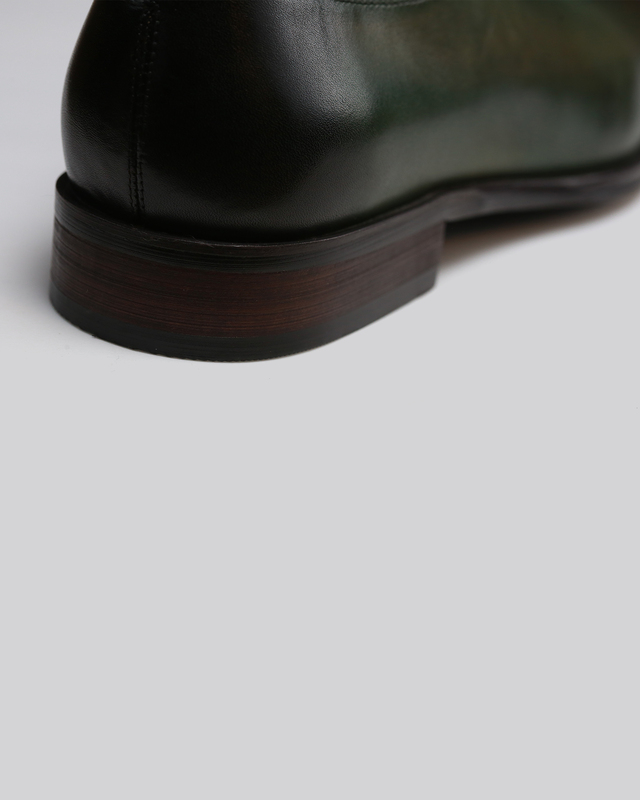 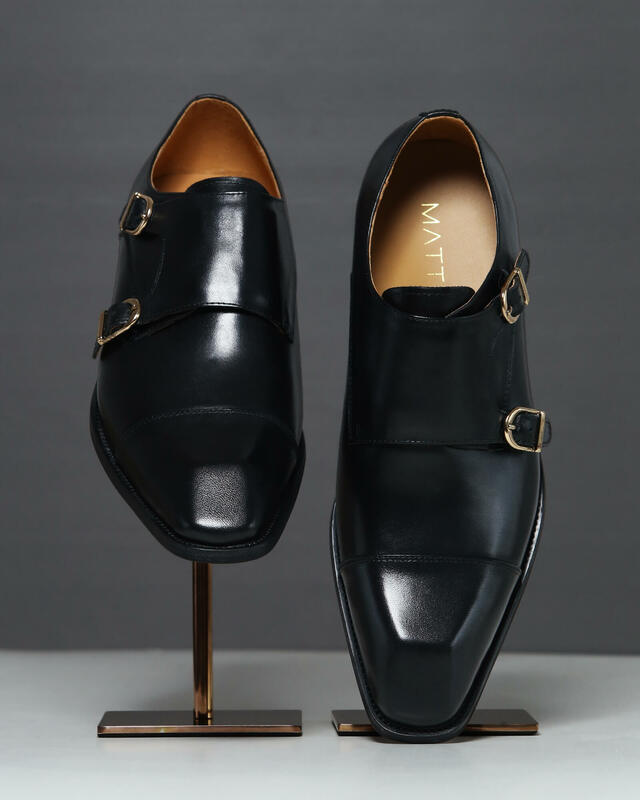 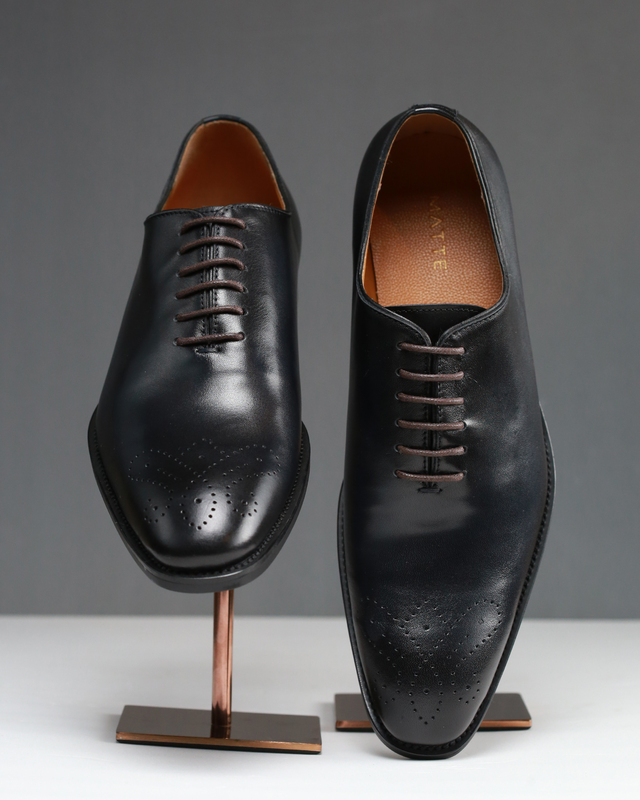 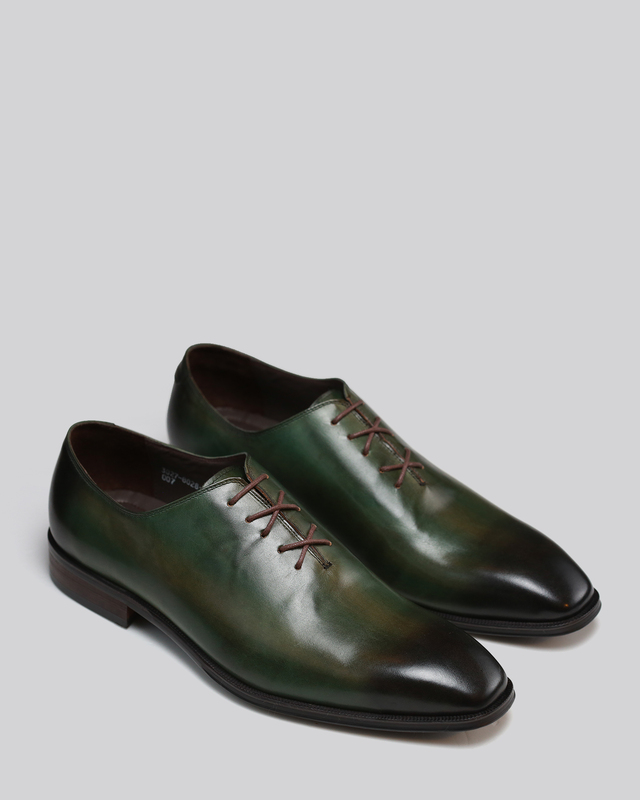 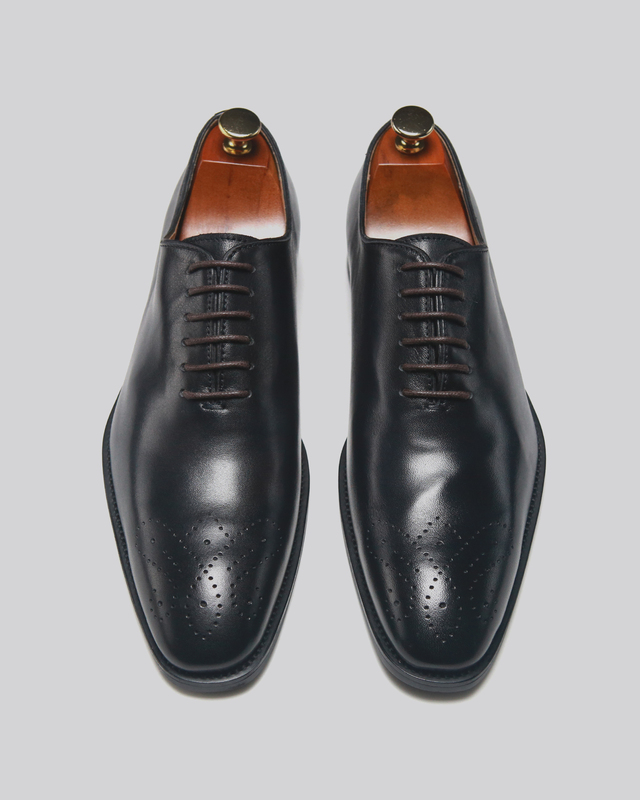 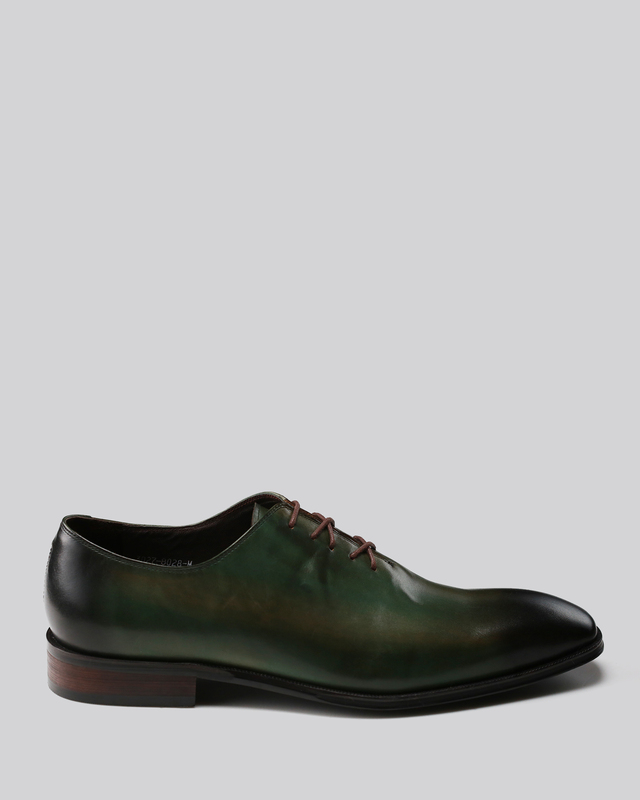 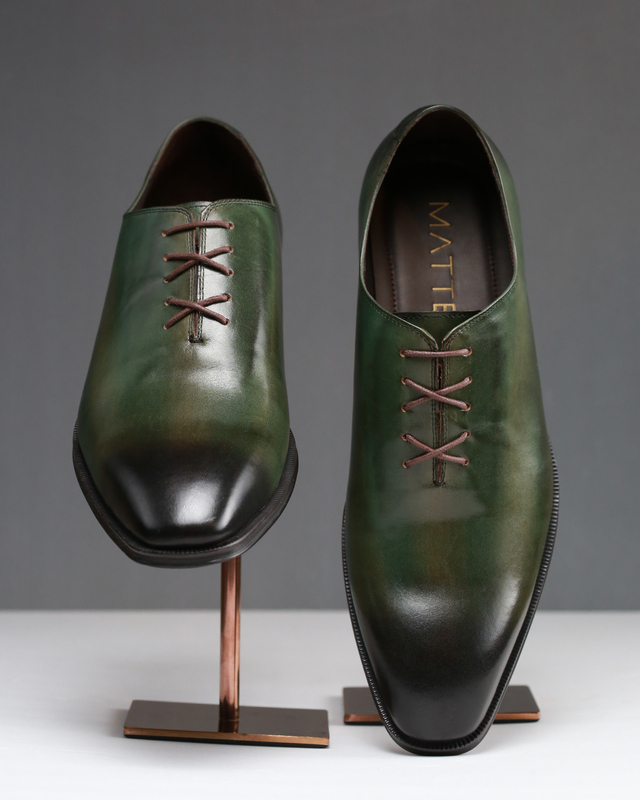 Crafted from a single stretch of natural leather, these bold dress shoes were hand painted in a brushed bottle green and black colorway. 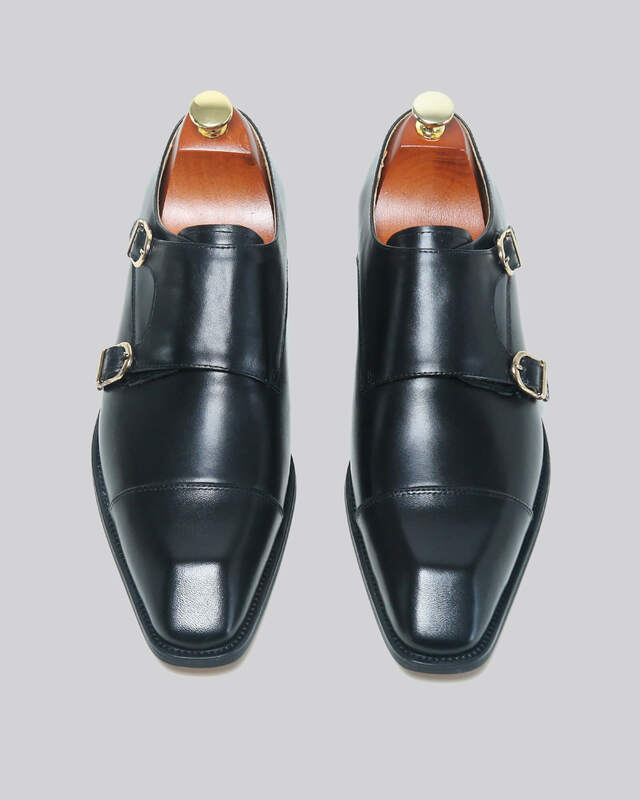 The cushioned insole embodies our signature gold embossed logo and the leather outsole features a rubber lining for extra grip. 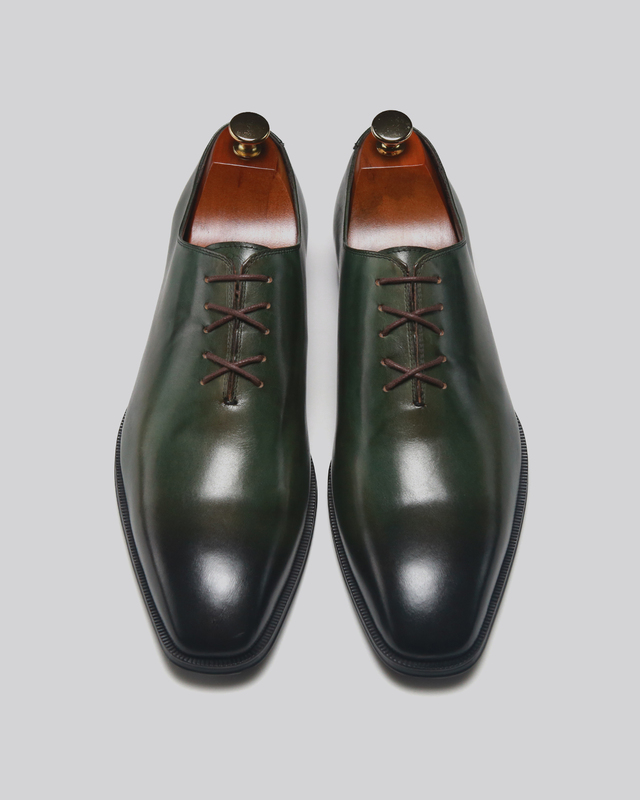 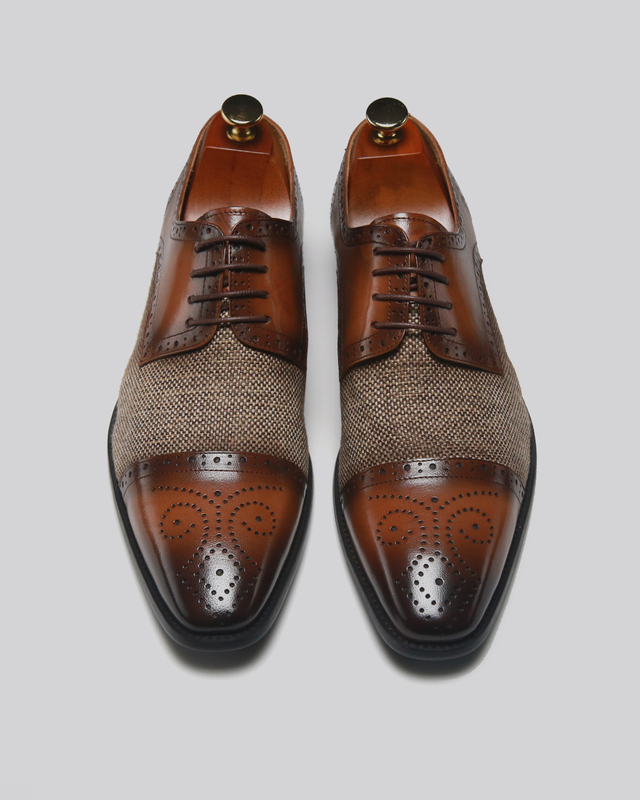 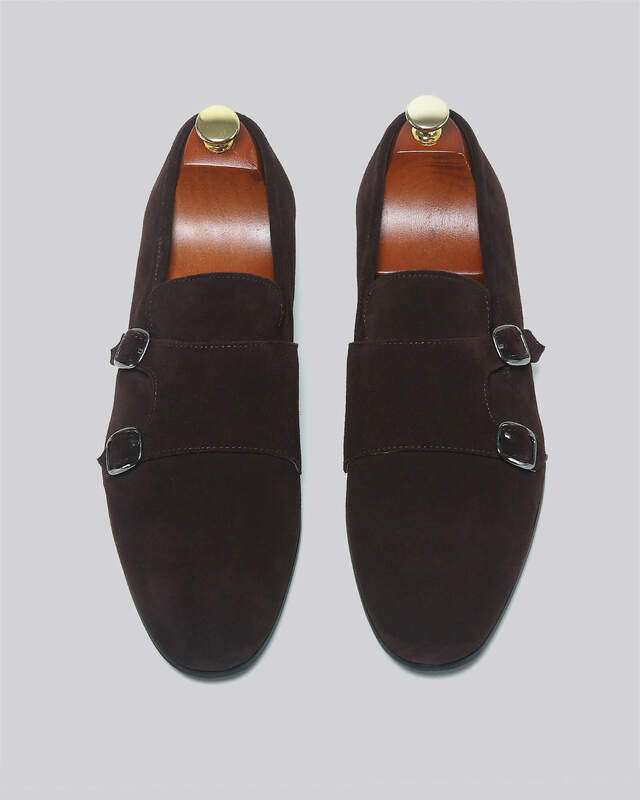 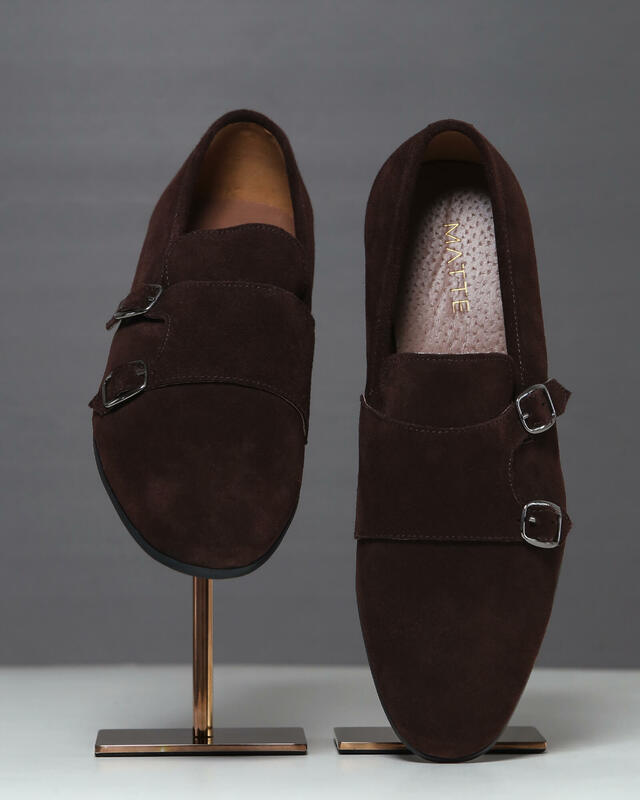 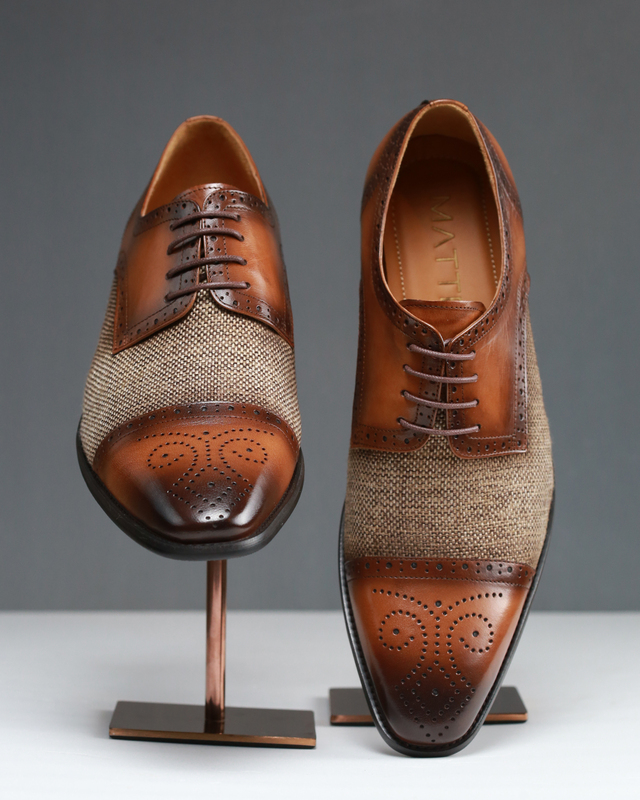 These shoes would certainly be a bold and eye catching choice with dinner wear.